Studio 1 Dance Academy is proud to have been teaching dance in the Santa Clarita Valley for 26 years under the direction of Jan Frishette, and with the help of exceptionally talented dance instructors. We pride ourselves in hiring experienced, industry professional dance instructors, who are the best in teaching their field of dance. Our passionate and caring teachers focus on the individual young dancer’s proper technique and development. Our unique training program allows for rapid and remarkable progress. At Studio 1, we know that real learning takes real effort, and is real fun! We moved to our brand new, beautiful, state of the art facility in the summer of 2016. We are centrally located, just a short distance from Interstate 5, and close to the Valencia Westfield Mall. Our two large dance rooms have top of the line sprung floors, which are important to preventing injury, as well as excellent sound systems and viewing windows. 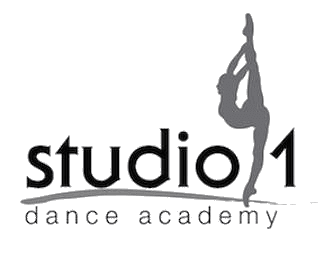 At Studio 1, we have a passion for dance and a strong commitment to ensuring each student learns proper dance technique. Our experienced dance instructors energize and challenge students with age appropriate choreography. We produce excellent, top-level dancers, who are prepared for high school dance teams, and are successful at the most competitive regional and national dance competitions. Many of our dancers go on to work in the entertainment industry and become scholarship material for the most prestigious college dance programs. At the end of the school year, students are invited to perform in our fantastic annual show. It is a time of great excitement for both parents and students as the children get to showcase what they’ve learned throughout the year. Students interested in taking their dancing to the next level may audition for our Competition Team. We offer a variety of competitive dance teams based on age and level of dance. Our dance teams compete at regional events here in Southern California, as well as nationally. Our competitive dance program fast tracks students to advanced levels of dance. At Studio 1, we always maintain a high standard of age appropriate routines and costumes for our dancers. We seek to provide top quality professional training with the objective of instilling confidence and a desire to learn. We are so proud of our dancers and their achievements at competitions as well as their work in the entertainment industry. We have an amazing, rewarding, and wonderful time engaging with our students and we look forward to having your dancer become a part of Studio 1.